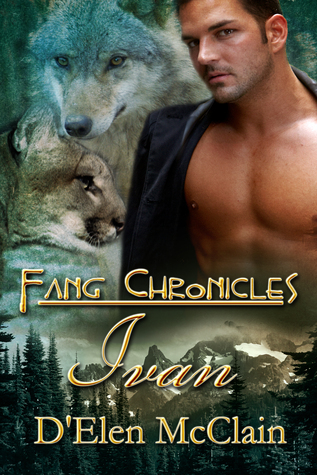 The loss of Ivan’s mate, Alba, left him broken and turned his inner beast inside out. With the war between the wolves and enemy cats, who killed his mate, all but over his anger has no focus. His new clan consists of two vampires, three cats, and his lone wolf. Talya ran from her clan after losing a challenge against her friend for the love of Dmitri, the vampire leader of the bear clan. She’s young and impulsive with the weight of her shameful past on her shoulders. Can two humans help her mature into the alpha female she’s destined to be? Or will she endanger them both to the point of no return? Ivan needs a mate worthy of taking on his angry beast and Talya needs a mate strong enough to tame her erratic impulses. 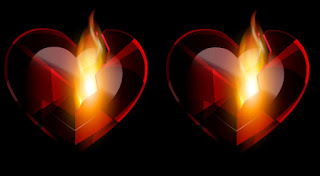 Can sworn enemies overcome their pasts and fight for a chance at eternal love? Fang Chronicles: Ivan is the sixth book in the Fang Chronicles series by author D’Elen McClain this is my first time reading this series. I was not lost. I did want to go back and read what I have missed though just because this book is that good. Really well-done characters that have a great story arc. Ivan is Alpha to a bunch of cats. How a lone wolf gets that you might ask? Well being nice and saving them. Now he has to figure out how he does that. Plus, he is dealing with losing his mate. He is grieving. He also gets one more curve ball. A new mate. Talya has a lot of growing up to do in this book. She really comes a long way. Her arc really shows growth from the scared girl to the Alpha woman she becomes. This book is written in dual POV can be confusing sometimes but I kinda liked it in this book. I do wanna go back and read the books I missed this is a fast-paced book with a lot of heart and soul.